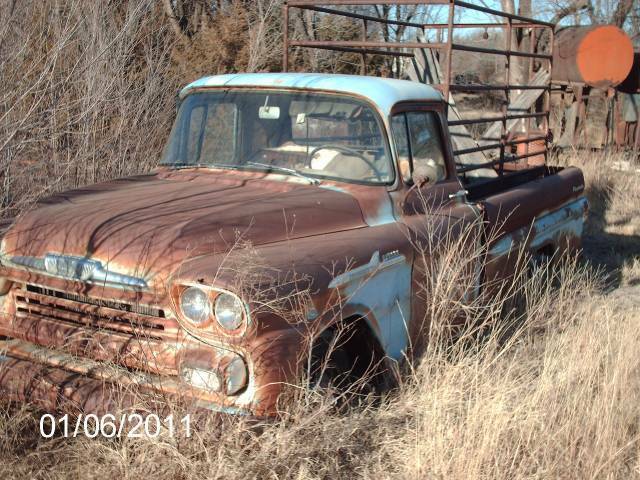 1958 Chevy Apache Photo Picture Classic Cars for sale & Classifieds - Buy Sell Classic Car & Classic Truck Classifieds. This is a 1958 Apache that has been sitting since 1981. Is there a left door available and what condition? I am restoring an apache. I wonder if can get his rear bumber and a few other misc. Cool truck, well worth saving. Thats a shame,i hope the owner lets someone buy it to restore. looks like the last load it hauled was a steer to slaughter or a cow to market! the thing in the back was what cattle people put there cows in that went to either slaughter or market no more than 1 at a time!